What is Traditional Chinese Medicine (TCM)? Why Buying Local is Best..
With the cold, dry weather outside and the dry heated air inside, our skin doesn’t get a break. Are you noticing that your skin is dryer than normal or that you constantly have chapped lips? You are not alone! But, it may not be just the cold and dry air of winter… you may be a bit dehydrated. Did you know that cold weather can actually increase your risk of dehydration? We normally think about dehydration only during the summer months when its hot outside. During summer it’s easy to remember to drink more water since we are hot and sweaty. But, during the winter months we still sweat (from over layering with our clothing or over exerting outside) but due to the colder and dryer weather it can vaporizes off our skin so we often don’t even realize we are sweating at all. We lose water every day during our normal activities and by just breathing so we need to make sure those fluids get replenished regularly to ensure proper hydration. Every system in the body needs water to function. We need it to get rid of wastes, normalize our temperature, lubricate our joints and protect our tissues. 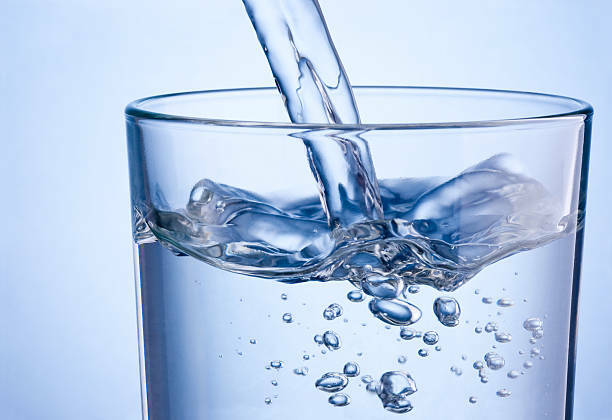 Did you know that up to 65% of a person’s body weight is water? Did you also know that it only takes a 1 – 2% drop to cause dehydration? Remember, by the time you feel thirsty, you are already dehydrated. What are some symptoms of dehydration? If urine is darker than normal, it can indicate that you are dehydrated as urine should always be light to clear. First and foremost, drink water! Its pretty simple, you just need to make sure you are getting enough each day. A good rule of thumb is to divide your body weight in half, that is the total intake of ounces you should have each day. So, if you weigh 150 pounds then you need about 75 ounces of water a day. Of course, there are many wonderful products (oils, butters, lotions, etc.) that will help keep your skin moisturized this time of year as well, but if you are dehydrated, they can only do so much and your skin will ultimately stay dry. Hydrate first and then use fabulous products second, your skin will thank you! Here’s to a year of hydration! Protect your body and your skin by staying hydrated! Newer PostYep, it’s that time again…Spring allergies are almost here! Older PostAdaptogen Recipes from the December event as promised!